New Resource Management Beta from BFG. Play Delicious Super Pack, and enjoy twelve amazing games in one single download! Rekindle the magic of growing up with Delicious - Emily's Childhood Memories. 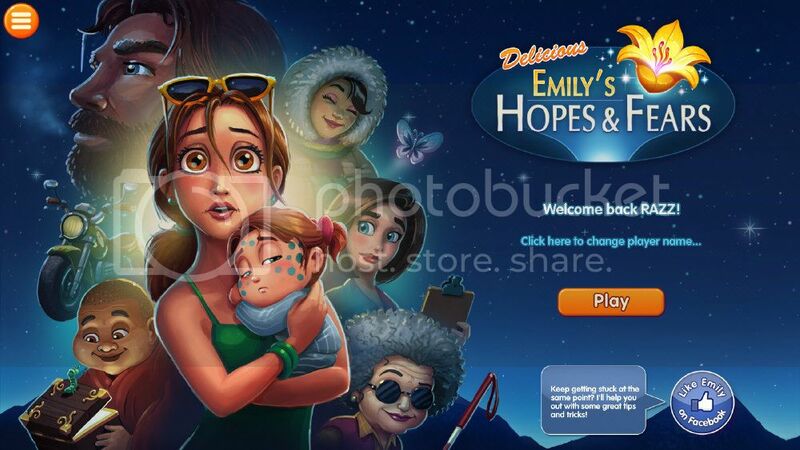 Be Emily's special guest as her big day approaches in Delicious - Emily's Wonder Wedding and fall in love with a beautiful new family member in Delicious - Emily's New Beginning and Emily's Home Sweet Home. What are you waiting for? All episodes including bonus levels from the beginning to the end. Download Delicious Super Pack now! *Get 15 games in only one package! *Contains Delicious 12x Super Pack Plus Emily's Big Suprise Bonus Episode! A mysterious villain is using a time machine to destroy everything in his path. He wants to return the Priest, the King of Atlantis and the Ancient Emperor so he can use them to create a new world order! Claire and her friends must find out who the villain is and stop him and all his minions. Go on a journey across a world full of extinct creatures and fantastic technologies in the exciting casual strategy Lost Artifacts. Many varied quests, over 50 levels, a fun storyline, simple and exciting gameplay, and a fantasy world - all this awaits you right now! Create portals, restore epic buildings, seek out extinct animals, overcome challenges and manage resources. Simple controls and a clear tutorial will help you easily learn the basics of the game. •	A world full of extinct creatures and fantasy technologies - energy generators, portals and the Sands of Time will help you find and stop the villains! •	A fun plot, colourful comics and memorable characters! •	A multitude of varied quests that you've never seen before. •	Over 40 unique levels. •	Dangerous enemies: Skeletons, mammoths, krakens, drones and dinosaurs. •	4 inimitable locations: rocky mountains, endless deserts, impassible jungles and valleys of eternal snow. •	Useful bonuses: speed up time, stop time, run fast. •	Simple controls and an easy to understand tutorial. •	More than 20 hours of exciting gameplay for any age. When a notorious poacher steals every animal off a reserve, FEMA calls in the Rescue Team to save the day! Lead the way to safety after disaster strikes as the Rescue Team faces dangers both natural and manmade! Lead the way to safety after disaster strikes as the Rescue Team faces dangers both natural and manmade! Earthquakes and avalanches are just two of the catastrophes the Rescue Team encounters in this thrilling sequel. But the team can't blame every problem on Mother Nature because she has a little competition from Pietro Mangula, the world's most notorious poacher! When Mangula and his henchmen steal every animal off a reserve, FEMA calls in the Rescue Team to save the day! To deal with the mess Mangula leaves behind as he escapes through dangerous drylands, cavernous mines and wild jungles, players need to gather resources, remove obstacles and handle fires, floods, dark caves and more. Players can race to beat the clock and earn awesome achievements or complete quests in a relaxed manner. Either way, the Collector's Edition of Rescue Team 8 offers silky smooth point-and-click gameplay, eye popping graphics and animation and a wealth of bonus content! New Resource Management Beta from BFG & New Bridge Games. In Day D: Through Time Collector's Edition, a superb resource management game, you'll try to prevent dinosaur extinction! Brian, a quirky scientist, has always dreamt of meeting a real dinosaur. One day, he travels back in time to the Jurassic. Imagine his surprise when he sees Dr. Awful the dino hunter wreaking havoc all over the place! Your job is to tame dinosaurs, manage resources, and construct facilities to keep them alive.